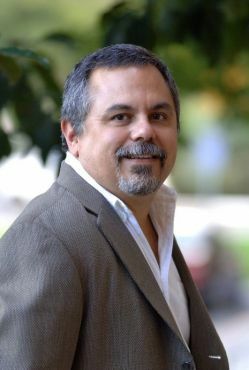 Gary M. Segura, Ph.D., is principal and co-founder of the polling firm Latino Decisions™, and a Professor of American Politics and Chair of Chicano/a – Latino/a Studies at Stanford University. His work focuses on issues of political representation, and the politics to America’s growing Latino minority. Among his most recent publications are “The Future is Ours:” Minority Politics, Political Behavior, and the Multiracial Era of American Politics, (Congressional Quarterly, 2011) and Latinos in the New Millennium: An Almanac of Opinion, Behavior, and Policy Preferences (Cambridge University Press, 2012). Over the last 18 years, he has directed polling research that has completed over 80,000 interviews of Americans of all backgrounds on matters of political importance. He has briefed members of both the House and Senate as well as senior administration officials and appeared on National Public Radio, the News Hour, Frontline, the CBS Evening News, MSNBC, and numerous other outlets. Segura served as an expert witness in both of landmark LGBT rights cases in 2013, Windsor v. United States and Hollingsworth v Perry, has testified as an expert on political power and discrimination in both voting rights cases and LGBT civil rights cases, and has filed amicus curiae briefs on subjects as diverse as marriage equality and affirmative action. Segura is one of three Principal Investigators of the 2012 American National Election Studies, is a past-President of the Midwest Political Science Association and current president of the Western Political Science Association. In 2010, he was elected a Fellow of the American Academy of Arts and Sciences.